So I searched Henry Cotto on a search engine website called google.com. Our website appears on the second page of listings, however, I found some other interesting info. There was a listing for a Henry Cotto on Facebook. Now the picture is very small, so I could not be sure if it was THE Henry Cotto, but perhaps one of you could make the positive ID. If this is actually him I would assume that we should all "friend" him instantly. Let me know what you guys think. I think it's him, Ruben Sierra is one of his friends. I'm scared. How do we proceed?!!? So is Hiram Bocachica so it must be him. I think we need to wait until the blog is at a point that we feel comfortable actually showing it to him. You got a real attitude problem son... AND YOU DON'T LISTEN!! I don't know, I happen to really like Henry Cotto. How could you not compare him to a young Alex Rodriguez? Both are over six feet tall. But it doesn't end there. Both were born in New York but were Puerto Rican in heritage....or something close to that (like, not Asian). Both were not designated hitters, which is to say that both of them played the field, on the diamond and with the ladies. Each would play for both the Yankees and Mariners, and one year with the Cubs, which hasn’t happened yet for Rodriguez, but trust me. Both men, except for Cotto, would sign groundbreaking multi-million dollar contracts that would follow them throughout their careers. Both men happily caressed their baseball bats in front of thousands of adoring fans. Both men occasionally drank cranberry juice. Each had a famous, easier-to-say-than-their-actual-name nickname: A-Rod, Hen-Cot, respectively. “A rod of hen cot.” That is how scouts cleverly described Rodriguez’s similarities to Cotto. Strong take from follower Jake!!! Yep...as "president-for-life" of the Henry Cotto fan club, I can verify it. That's him. The picture is small and not too good, but what cinches it is Julio Ayala...the former Ravens pitcher who was a friend of Henry's when they were both here in New Haven in 2000 (Henry as coach, Julio as player). I will call Henry today to verify it, and will inform him of this site. el Marko - we thought about asking Henry to be friends on facebook, but the site is clearly in it's earliest of stages. We wanted it to be something Henry's mustache could be proud of. Think Mr. Cotto will be digusted by the site's content? I don't think he will mind. He has a sense of humor. He has to the way we harrassed him in his New Haven days. There are all sorts of great stories which I will post when I get a chance. Good to hear! We will welcome the stories!! Well, I just spoke to Henry and I have good news and bad news. The good news is: I told him about this site and he laughed heartily and asked for the link. The bad news is: he is no longer a Seattle Mariner. He just signed on to be a roving instructor with the Giants. Actually that makes us in Connecticut very happy as it means he will be visiting Norwich, Ct in the Eastern League. 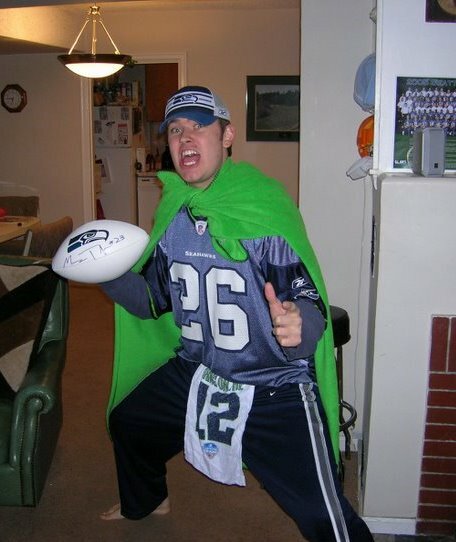 Anyway, I hope you don't change the site name because of this...he still spent the bulk of his playing days in Seattle.